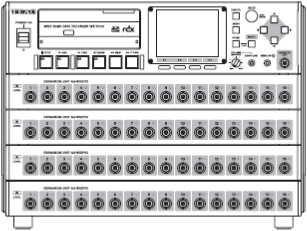 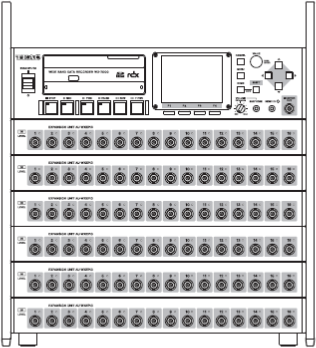 By adding more AU-WXEPIO expansion units, you can increase the number of input and output channels. 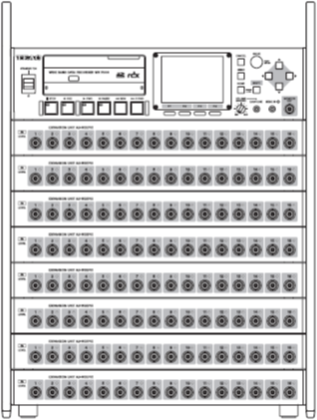 We offer products with 1, 2, 4, 6 and 8 AU-WXEPIO expansion units. 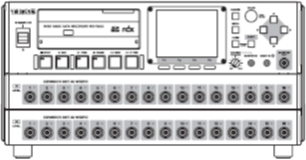 One included AC adaptor can supply power to both the WX-7000 wideband data recorder and two AU-WXEPIO expansion units. 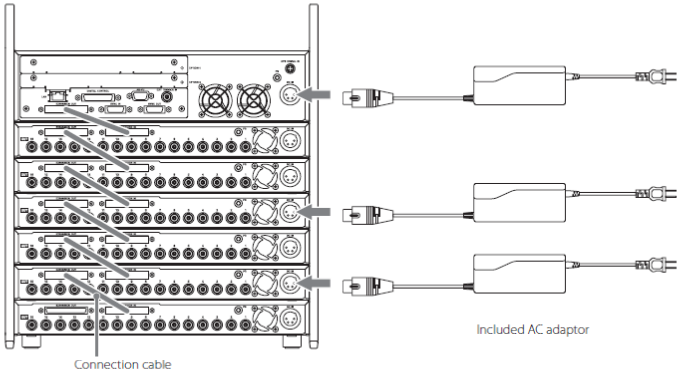 AU-WXEPIO expansion units that are not connected to an AC adaptor receive power by connection cables. 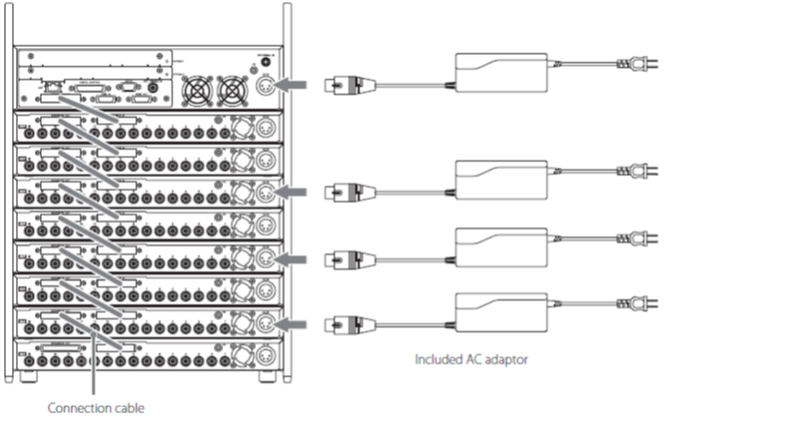 Connect AC adaptors and connection cables as shown in the following illustrations.